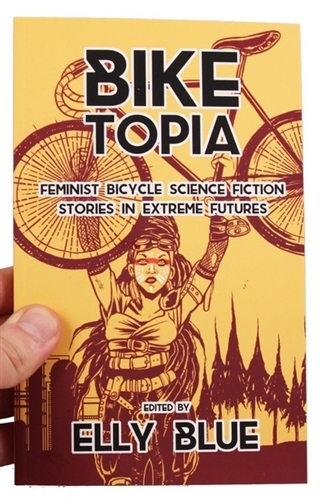 Science Fiction Anthology featuring women with bicycles in various Dystopias and Eutopias, many in "post apocalypse" environments. 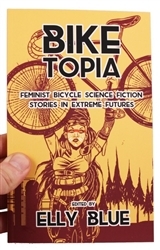 12 stories, including a comic. Paperback, 159 pages, beautiful color cover.